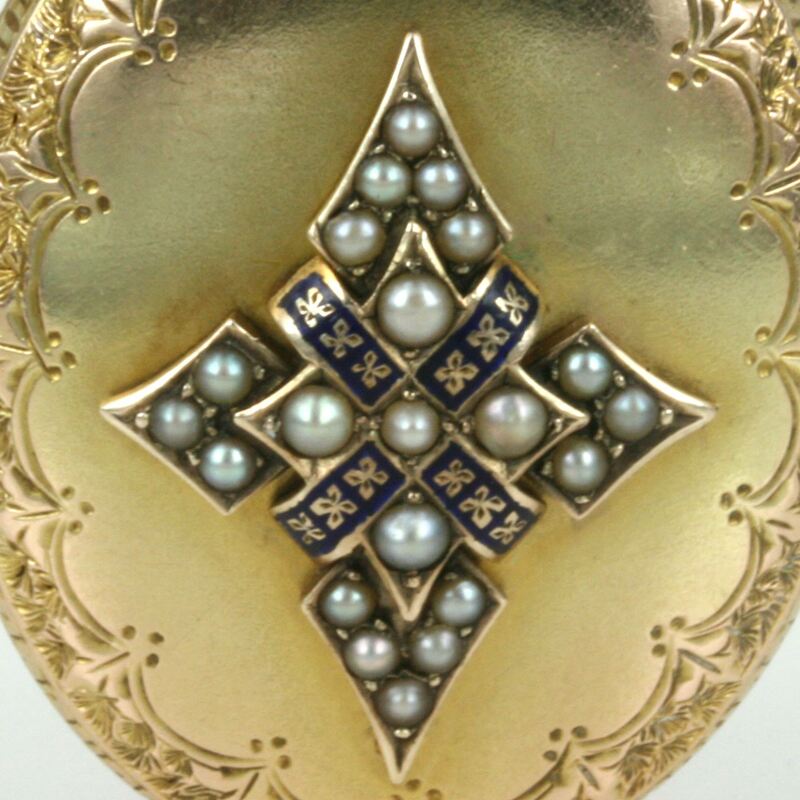 Antique pearl & enamel locket. Product code: 1093 Categories: Sold Items, Sold Jewellery. 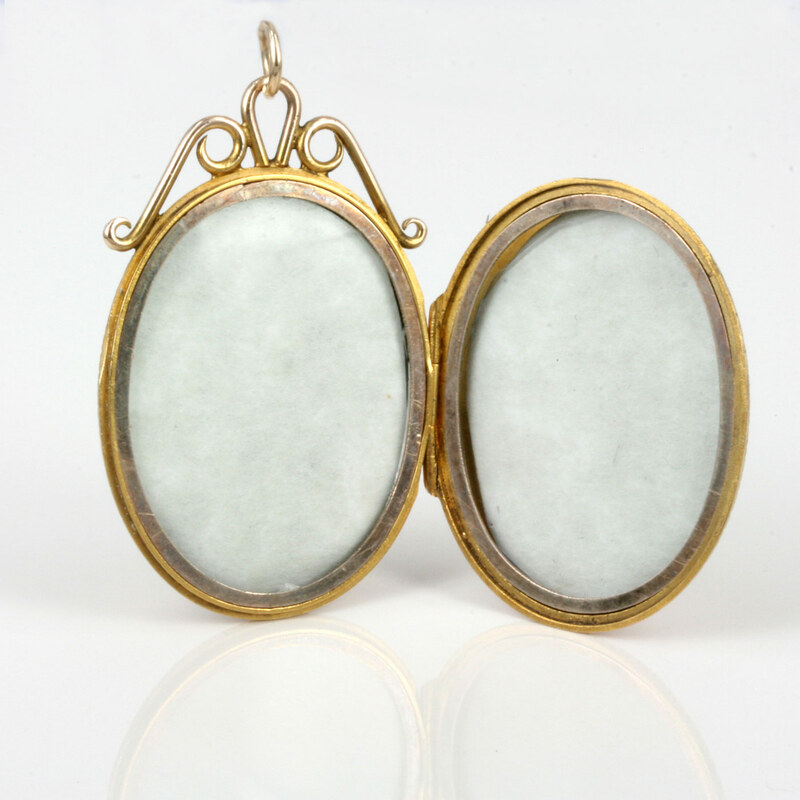 Antique lockets have such a charm and beauty that you just can’t find in most modern ones, and this antique locket from the 1890’s is amazing in all respects. Measuring 2.8cm wide x 3.6cm high (or 4.4cm when including the top scroll work) this locket is a perfect size. Made in both yellow gold on the fron and rose gold on the reverse, the front is set with beautiful seed pearls and very fine and stylish enamelling. The reverse has such beautiful engraving, making this able to be admired from both sides. 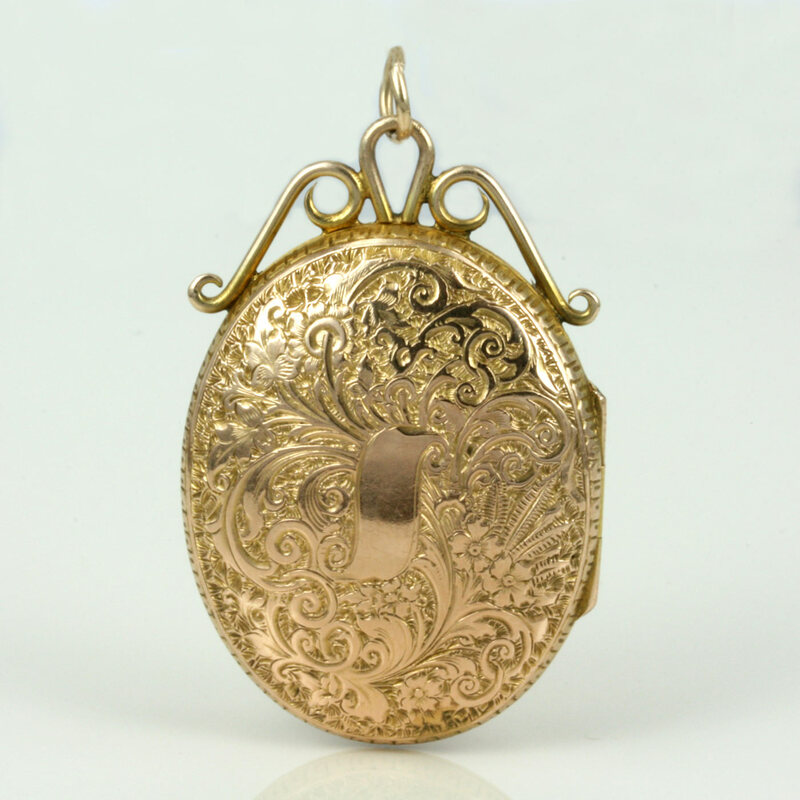 In wonderful condition, this antique Victorian era locket will be cherished.